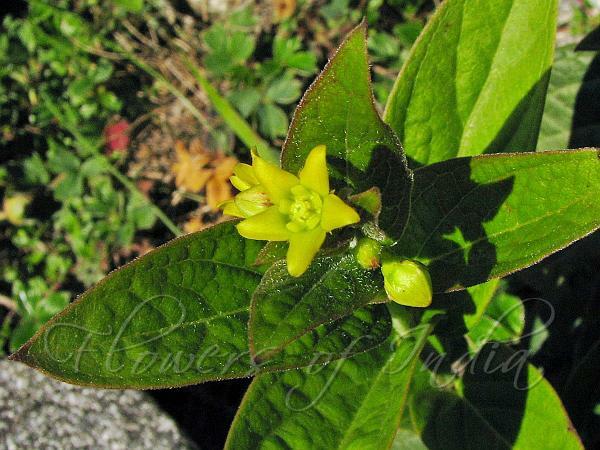 Swallow-Wort is an erect perennial herb with stem 15-25 cm tall, characterized by broadly elliptic to ovate pointed leaves, and umbels of small yellowish-green flowers in leaf axils and at branch ends. Flowers are about 5 mm across, with nearly hairless triangular petals. Corona is deeply 5-lobed. Sepals are triangular, nearly as long as the flower. Leaves are opposite, about 5 cm, shortly stalked, often with a rounded base. Lower leaves are often blunt. Fruits are 4-6 cm long, cylindrical, broader at base and tapering gradually to the tip. 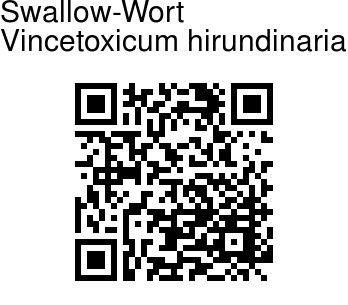 Swallow-Wort is a poisonous plant not grazed by animals. It is found in the Himalayas, from Pakistan to SE Tibet, W. Asia and Europe, at altitudes of 2300-3600 m. Flowering: May-July. Identification credit: Prashant Awale Photographed enroute to Vasundhara falls, Uttarakhand.